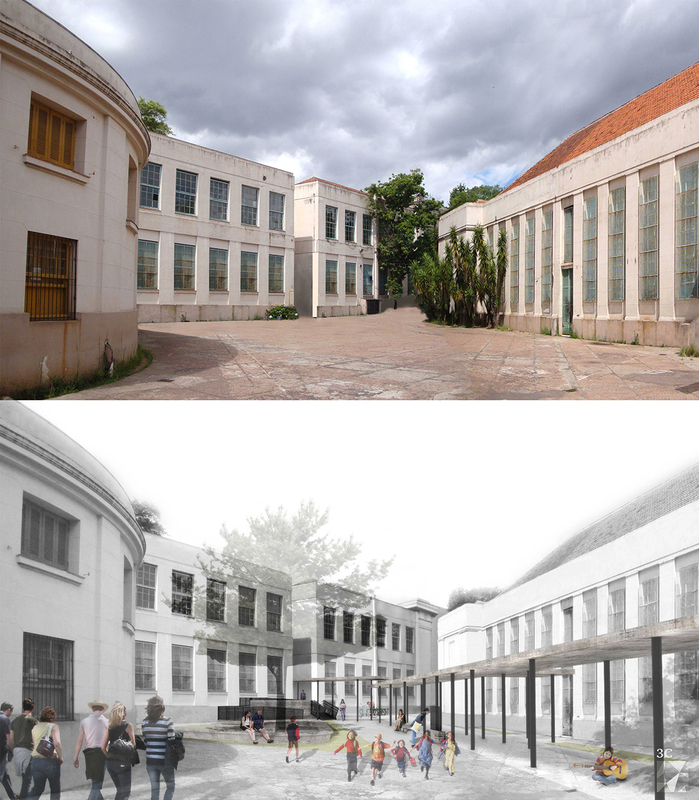 The restoration project of the Institute of Education General Flores da Cunha followed two orientations: on the one hand, retrieve and conserve the building, State Heritage listed; on the other, modernize it and adapt it to the new school settings and new technologies. The steps in the project of restoration made it possible to assess the State of the entire Institute and outline actions and proceedings for the recovery of materials and the qualification of spaces. Parallel to this, the work developed by the Secretaries of State, Heritage entities and representatives of school, made possible the formulation of strategies to adapt it to current standards and the new needs of the school. The Institute of Education (IE) set up in a group of buildings listed by the Historical and Artistic Heritage Institute of the State (IPHAE). 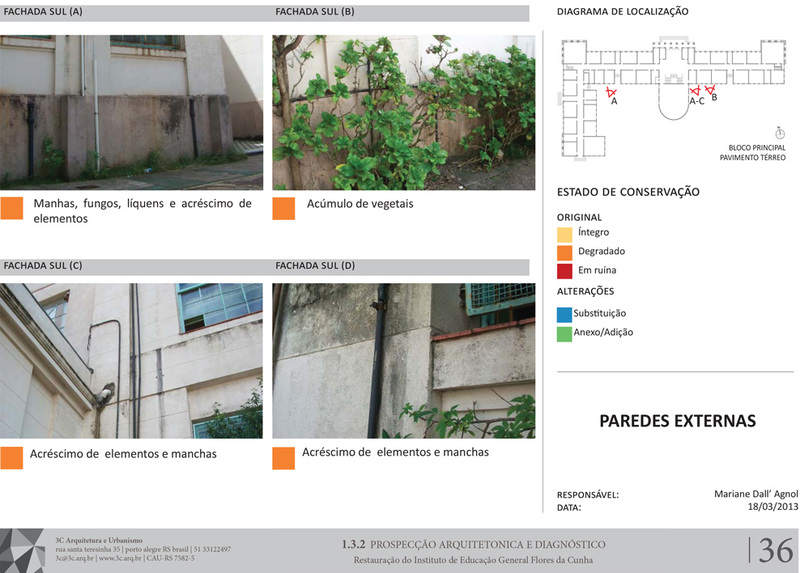 with approximately 8.400 m² of constructed area, It is inserted into an integral block from Farroupilha Park, listed by the team of the Historical and Cultural Heritage of Porto Alegre (Ephk). 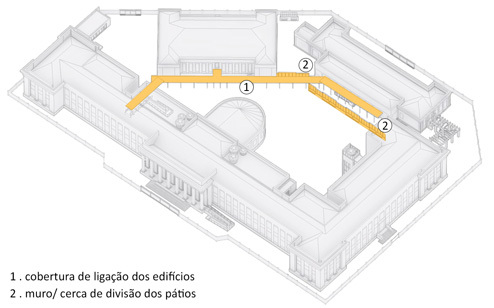 IE is composed of three independent pavilions: the main block (L building), the flag of the kindergarten and the flag of sports (gymnasium). 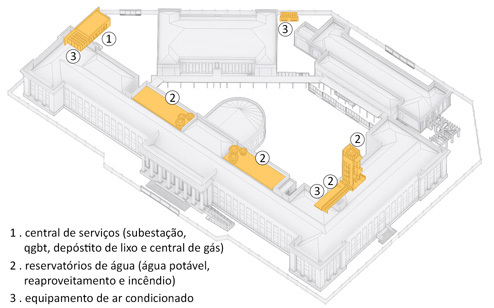 The three buildings make up the central courtyard of irregular shape, location where the outdoor recreation. The new structures proposals boil down to specific interventions to meet the legal requirements, mostly accessibility and fire prevention, and for total building facilities update, always respecting the requirements presented by the preservation bodies – UCS and EPAHC. The proposed restoration project only provides for the replacement of parts that are not subject to restoration, such as secondary structures of wood and roof gutters. 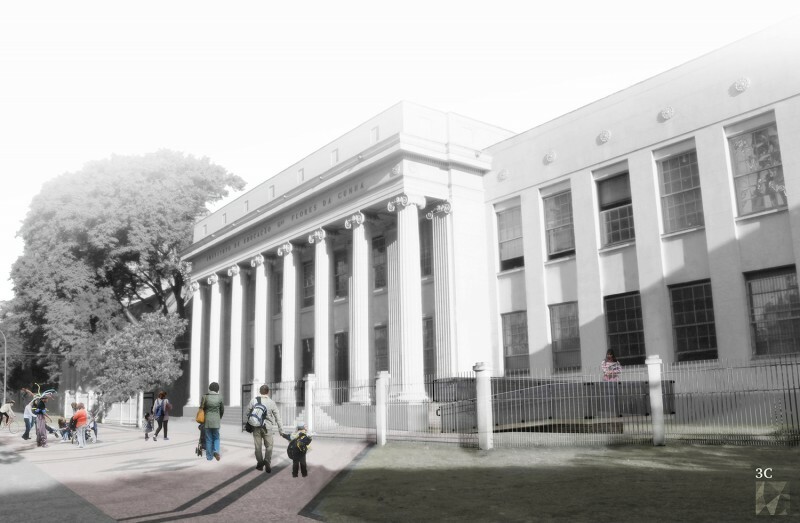 For both, was proposed a temporary cover over the roof to protect the original structure during its restoration, in order to ensure that even during the building work is not affected by the weather. Therefore, so the wooden scissors and original tiles are properly recovered, they will be replaced, and provisional metal structure, withdrawal, returning the building to its classical volumetry. Because it is a facelift, surveys were conducted detailed materials, with mapping of each condition, from the façade to the frames, furniture and internal areas. 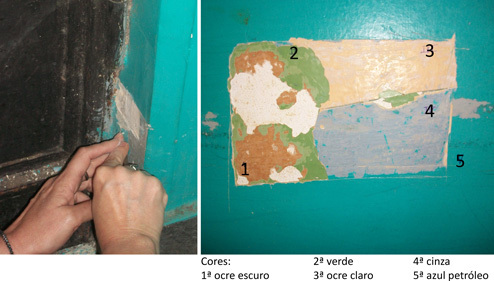 after that, solutions interventions were provided and tested, such as cleaning the graffiti, which required special testing techniques to be applied in the work, to ensure cleaning without causing excessive wear of the facade. Therefore, the settings for the restoration were the result of a series of careful work steps. 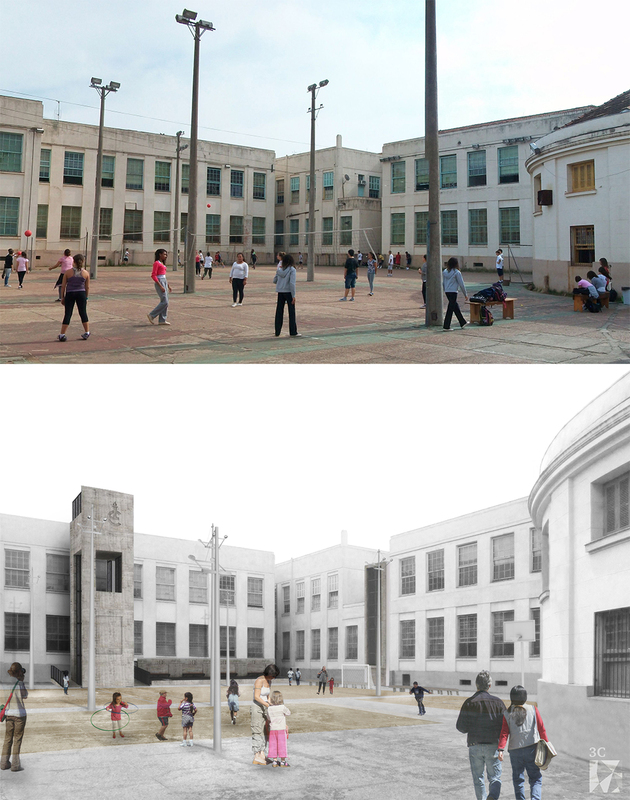 It began with the compilation of historical research about the site, building and about school, from the moment of its foundation. 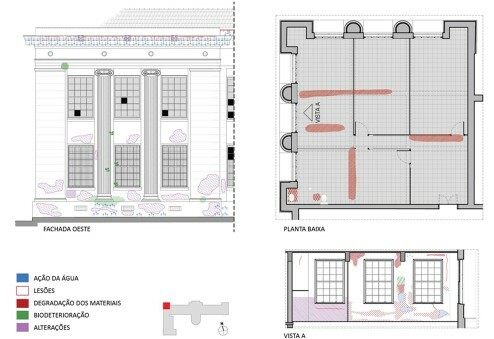 This was followed by the metric lifting step-architectural pavilions, as well as the survey and analysis of each one of the infrastructures in the set. 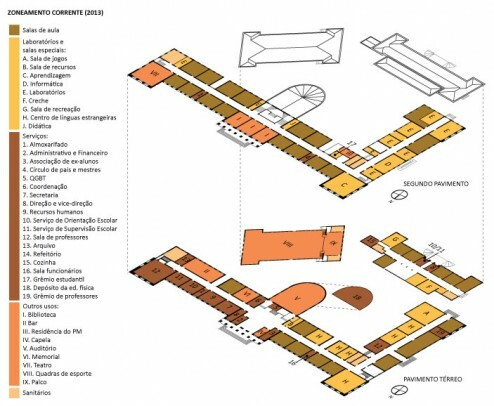 In the steps of diagnosis and exploration were identified damage and changes in buildings, occurred over the years, and verified the originality of each material and the initial configuration of the internal spaces. 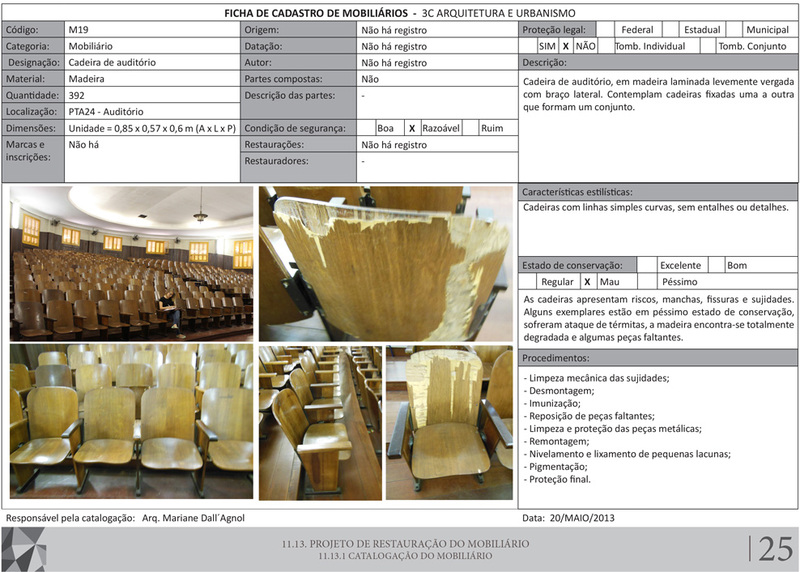 At The Same Time, specific notebooks were elaborated study of colors, frames and furniture restoration history. This set of information/analysis set the groundwork for definitions and guidelines of this restoration project, understood here as restorative procedures, reconstitution, restructuring and the Conservation Institute. 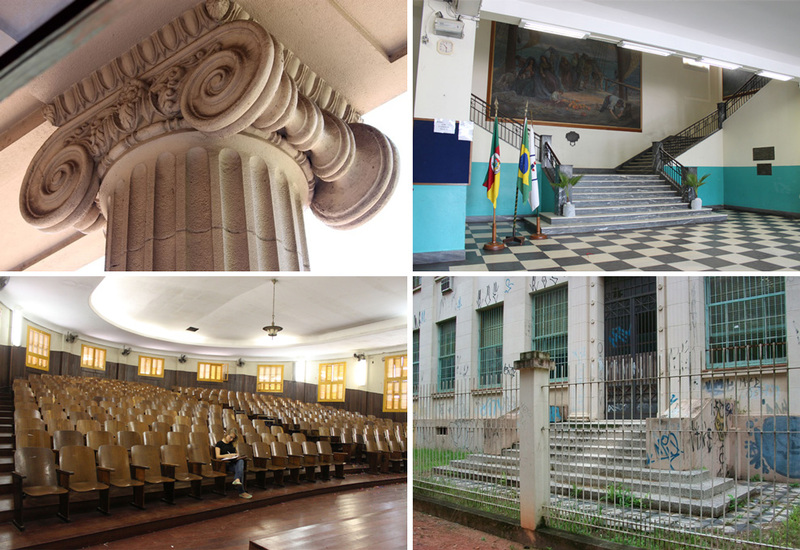 Jointly to the restoration work, and always in compliance with this, were designed attachments, infrastructure and adjustments to the set to qualify and modernize school. The designs left configuration uses defined in common agreement of all the parties involved – school, Secretaries, Heritage organ. 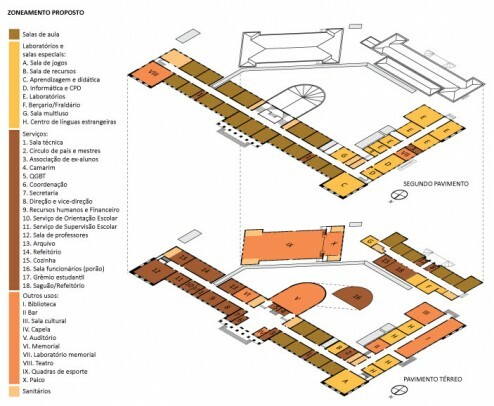 Accessibility projects have been developed, landscaping, electric, internal and external lighting, Security, logic, sonification, hydraulics, PPCI, air conditioning and structural. 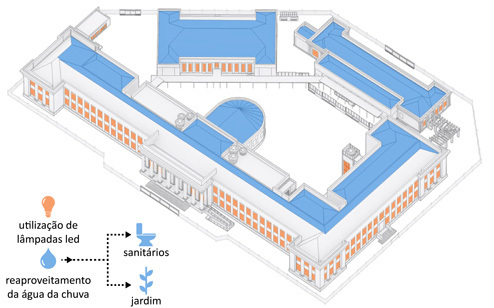 The current legislation – federal, State and local – and the new facility required the Providence of new architectural strategies for the interior of buildings and of new structures of support for the set. 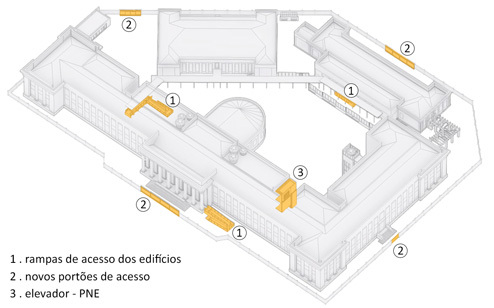 These same interventions were designed to improve the comfort and usability of the building. 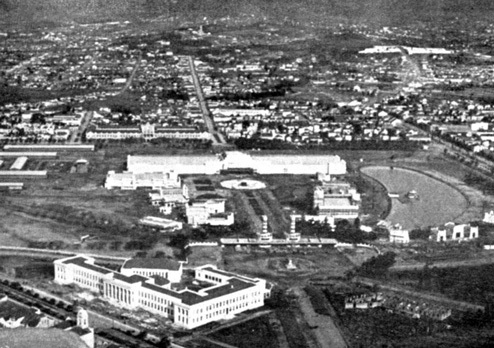 Photo of the inauguration: Centennial Exposition of the Farroupilha Revolution. Photo: Prati.com.br. 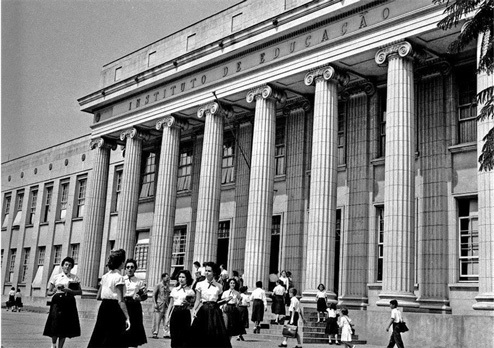 Photo of 1937 the inauguration as School General Flores da Cunha. Photo: Marlene C. Denise. 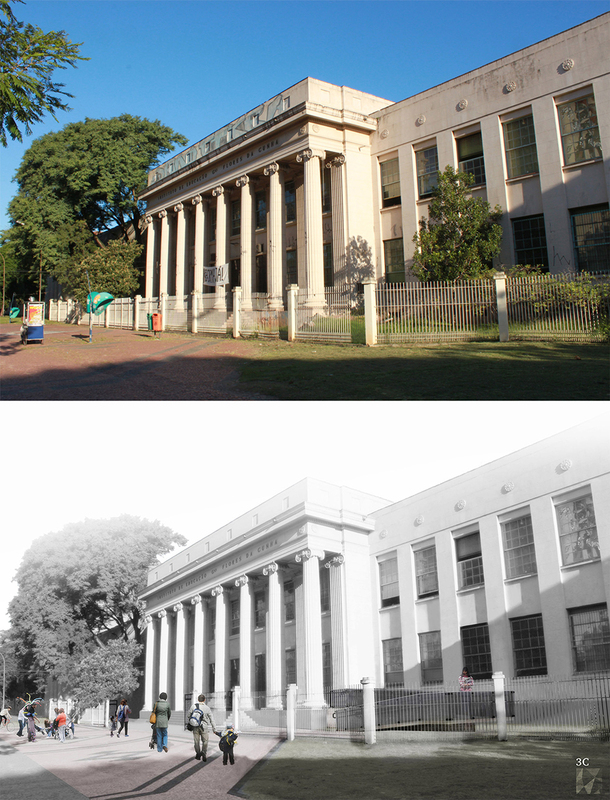 Metric survey of architectural heritage. Plug from the cataloguing of furniture. Diagnosis: identification and location of the damage. Prospecting: study of coatings of the walls. 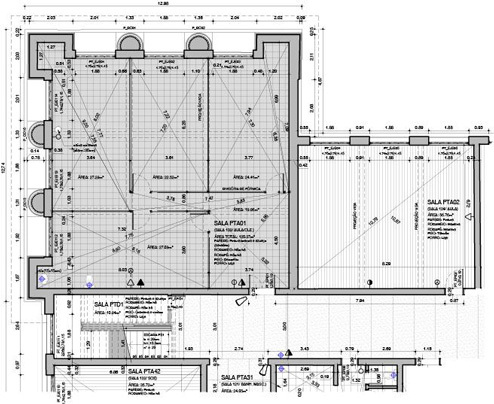 Times of each diagram construction. 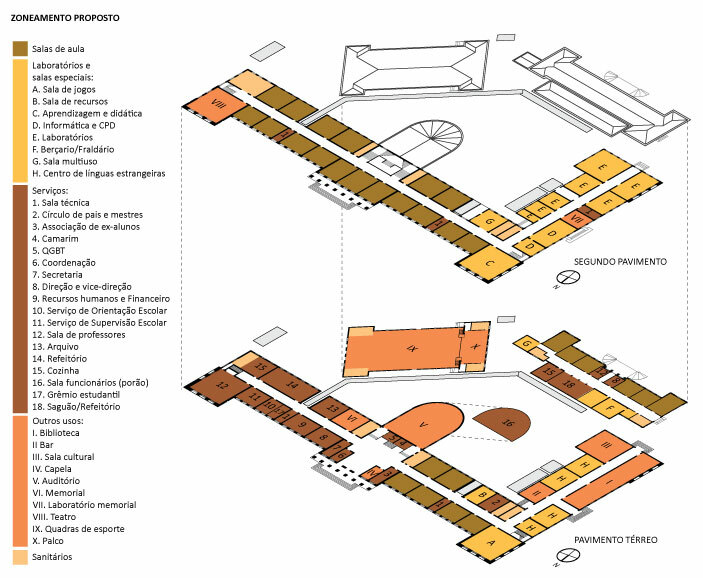 Diagram of proposed adaptation and comfort. Diagram of sustainable measures adopted. Procedures and tests of restoration: cleaning of facades with blasting system based on dry ice. The current main façade and proposal. 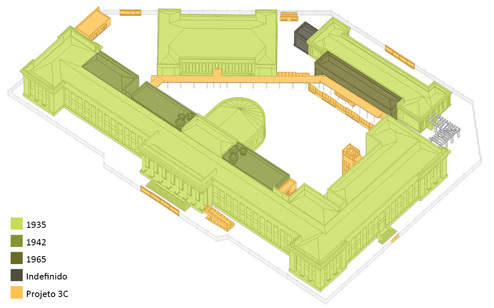 Current internal courtyard and proposal. Current and proposed sports patio.